Is Anyone Else Just Listening To Monody By TheFatRat All Day? I Love This Song! I Earned The Incredible Honor Of Knowing This Exists, And Now You Have Too. Ok, So With Half Cash Done And Gone, And Impoppable Also Done, Nothing Is Stopping Me From Beating CHIMPS! 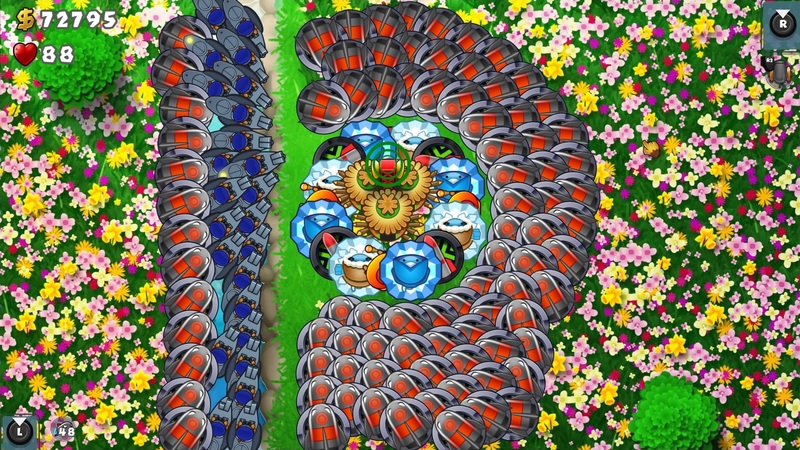 (Btd6) Half Cash Is Kicking My . I Refuse To Use Insta Monkeys Though! That's For The Weak. Nice. I forgot to mention the 4/0/2 Alchemist. The strategy I do involves placing the free dart, saving for Obyn, saving for 4/0/1 Ninja, going for other towers in case of the MOAB, then spam 2/0/2 Plasma Monkeys in range of Obyn with assistance from the Alchemists. I Actually Did Place The Free Dart, And Went For 032 Instead Of 023 Like I Normally Do. Sold It Mid-70s Because It Wasn't Doing Much. Tbh Tack's Really Underrated. Tack-Obyn-Alch-Super Is Actually My Strat For Double HP Moabs And ABR Too, Albeit I Had To Go For 023 Dart Earlier Because Camogrow Red. I Could've Tanked It, But Didn't Feel Like It. At The Absolute LEAST, You HAVE To Listen To These Two! Izumi and neoselket like this. I've Seen That Video Too. Same... but I'd definitely be the one to make it if I knew how to mod. I Have Now Beat Over 600 ZOMG's In Bloons Monkey City. Also, I Have Taken Over A Phase Crystal Tile, And Reached Rank 30. That Is To Say, I've Been On TCF For A Year. Why do you capitalize every letter you post? Just wondering. I Guess I Have A Death Wish: Slight Profanity By The Way. Duke of Gwynedd, Aedan The Borf and DoctorMcDerp like this. True. This Is The Easiest Map. (BMC) I Have Destroyed 10 ZOMG's! You May Call The "Zomginator"! (That Sounded Better In My Head...) Nevermind, Please Don't. (BMC) Just Took Down My First DDT! A Dark Dirigible Titan. It's Like Mixing A Moab, A Camo, A Lead, And A Pink Bloon Together. It Also Spawns 6 Camogrow Ceramics When You Kill It. This Is Simultaneously Scary And Catchy. Hello, I Am Super Shides. You Probably Know Me By Various Names. This Is One Of Them. I Play A Few Different Games, Mostly JRPG'S Like Final Fantasy And Kingdom Hearts. Monster Musume Is My Favorite Book And Miia Is My Waifu. Also Wondering Why My Toaster Keeps Exploding. And Why Master Xehanort Keeps Eating My Cheese. I Am The Last Post Knight For Bringing Page 2,500 Into Fruition On The Last Post Wins.